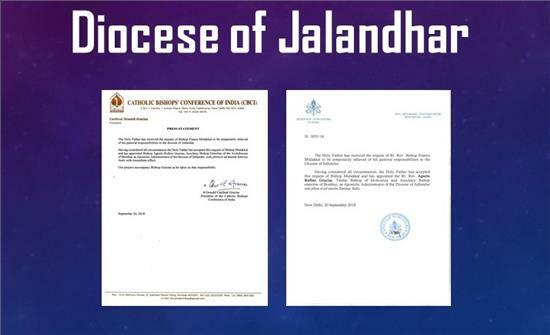 The Holy Father has received the request of Bishop Franco Mulakkal to be temporarily relieved of his pastoral responsibilities in the diocese of Jalandhar. Having considered all circumstances the Holy Father has accepted this request of Bishop Mulakkal and has appointed Bishop Agnelo Rufino Gracias, Auxiliary Bishop Emeritus of the Archdiocese of Bombay as Apostolic Administrator of the diocese of Jalandhar, sede plena et ad mutum Sanctae Sedis with immediate effect. Our prayers accompany Bishop Gracias as he takes on this responsibility.